September is the month that many children associate with going back to school; however we know that not every child has the chance to attend school. Even with all the progress that has been made, data from the UNESCO Institute for Statistics indicates that more than 57 million children worldwide are out of school. Various factors can prohibit a child from accessing education. One of these factors is mobility--when a child comes from a nomadic population and moves from one area to another and may not have access to a school or teacher. Nomadic people's migration patterns in search of water or pasture for their animals to graze places them amongst the lowest rates of enrollment and retention in school. In Afghanistan, the Kuchi population is one of these migratory groups that have limited access to education. Kuchi children, especially girls, face multiple barriers to accessing school, in addition to migration, such as security, remote locations, and culture. The Kuchi's migration patterns combined with these factors result in only 6.6 percent boys and a mere 1.8 percent of girls enroll in school (Equal Access to Education for Kuchi Children: Discussion Paper, ChildFund Afghanistan, 2012). As many have their education interrupted when they migrate, there is a high rate of drop-out. ChildFund International is working to provide increased access to quality education for the Kuchi population by providing a non-formal community based education program which uses mobile technology. Starting in November 2013, ChildFund, in partnership with the Ministry of Education of Afghanistan, will set-up classes in tents or existing schools, train teachers, establish peer support groups, and provide education materials to improve the chances that 2,000 Kuchi children, 1,200 girls, will overcome these challenges. Since migration patterns vary year by year and it can be difficult to find qualified teachers in some of these remote locations, setting up permanent structures in different locations was not possible. To ensure students have access to year-round schooling and will not have their education be interrupted, ChildFund will recruit and train teachers who will migrate with the students. Since various ages will be under one teacher, children will be part of peer study groups to learn from each other and provide an opportunity for learning outside of the classroom. While the teacher plays a key role, the community, and particularly the parents also play a significant role in children's learning. Education Shuras, or community education committees, composed of men, women, and children will be formed to monitor the schools, coordinate with teachers, and be advocates for education. Recognizing that literate parents are more likely to support their children's education, ChildFund will provide mobile learning opportunities for adults to learn to read. Using a tested mobile program, called Ustad Mobile (Teacher Mobile) developed by Paiwastoon, an Afghan technology enterprise, parents will learn literacy and numeracy skills up to grade level three through education games, narrated instruction, and video clips. The aim is for parents to have a flexible education program which can motivate them to participate in the education of their children while learning similar skills. Formal education systems are not always able to meet the needs of nomadic groups, such as the Kuchis. With the combination of community involvement, parental education, trained teachers, and access to year-round schooling, ChildFund's Equal Access to Education for Kuchi Children program can addresses the challenges and provide quality education for 2,000 Kuchi children. The Equal Access to Education for Kuchi Children is a two-year program implemented by ChildFund with funding from DFID's Girls' Education Challenge Fund. Janella Nelson is a Technical Specialist-Education at ChildFund International. For 75 years, ChildFund International has been a leader in the development and wellbeing of children and their families worldwide. Currently, ChildFund International works directly with more than 17.8 million children and their communities in 30 countries through integrated, multi-sectorial child development programs. ChildFund uses a life stage approach to guide its programmatic focus on the specific needs of children and youth during their respective stages: infants ages 0-5; children and young adolescents ages 6-14; and youth ages 15-25. ChildFund assists deprived, excluded, and vulnerable children to become healthy and secure infants, educated and confident children, and skilled and involved youth. Education is a key program area for ChildFund International. In FY12, ChildFund invested over $70 million in education programs aimed at enhancing educational access, quality, and learning achievement. 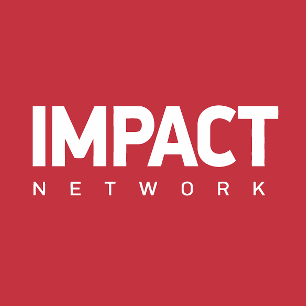 Founded in 2009, Impact Network is a non-profit organization that provides high-quality e-Learning solutions in rural Zambia.